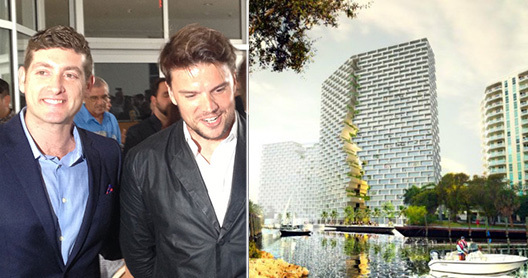 The 38-year-old architect gave a presentation Monday at the Museum of Art Fort Lauderdale, the first of three consecutive starchitect-studded South Florida real estate events this week, on his firm, Bjarke Ingels Group, and its 12-year evolution from designing residential buildings in his native Copenhagen to the conceptually playful Marina Lofts. Later in the week, Ingels will attend the Terra Group’s groundbreaking ceremony of his curvy residential towers in Coconut Grove, the Grand at Grove Bay. “Our vision was to create an eco-conscious residential project so sculptural and visually spectacular that it would become a statement for a new Coconut Grove,” Terra Group co-founder David Martin said last week, announcing the project’s ground breaking.